The Mahindra Thar was last updated in mid-2015 and ever since, the off-roader has been untouched. 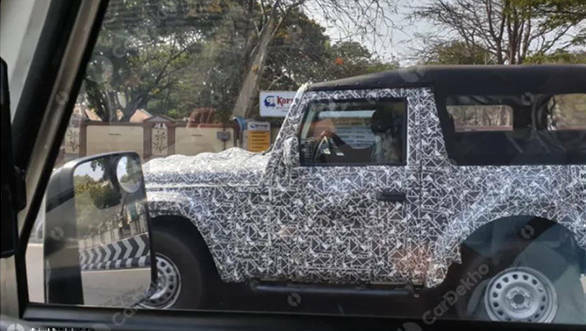 Recently, an all-new Mahindra Thar was spotted doing rounds in India, hinting at a launch of an all-new and most probably a second generation SUV. Though the test vehicle of the Mahindra Thar was heavily camouflaged, it displayed a notable change in width, courtesy - flared fender arches. Along with fibre panels on the sides, the new Thar will get chunky plastic bumpers on both ends to enhance pedestrian safety. The shoulder line of the new Thar appears to be lower than the current generation Thar that is on sale. A low shoulder line gives way to a larger window which in return offers greater visibility - that would get a big thumbs up from off-road enthusiasts. However, the iconic face of the Thar will remain unchanged, the grille and the headlamps are expected to be redesigned. The ladder frame chassis which underpins the current model on sale will go under heavy revision before the new Thar meets the upcoming safety norms that will be regulated from October 2019. Along with the revised underpinning, we expect Mahindra to bring the new Thar with a downsized cleaner running engine which will comply with the BSVI emission norms. The same newly-developed engine is expected to power the next generations of the XUV500, as well as the Scorpio. The new Thar will carry a similar, if not a longer feature list than the current vehicle on sale. A mechanically locking rear differential will be on offer with the new SUV. 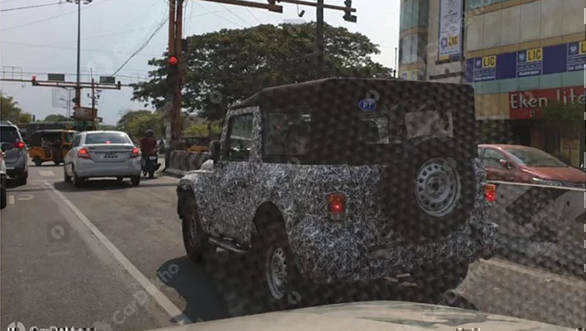 The 2020 Mahindra Thar is expected to be launched in the final quarter of this year and is expected to be priced between Rs 7 lakh and Rs 10 lakh. 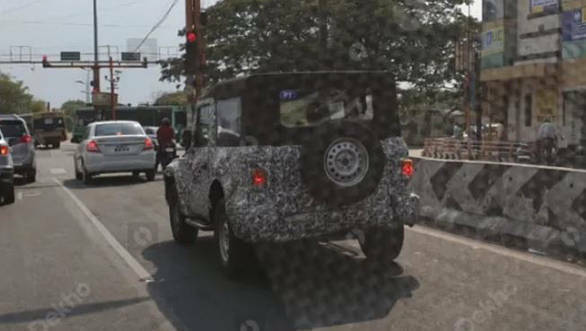 Tags: Mahindra Thar | new Mahindra Thar | thar | Off roader | OFF road SUV | Force-Gurkha | Force Gurkha Xtreme | suv | BVSI | Crash testing | Mahindra Thar off roader | Mahindra Scorpio | Next Generation | Next gen | Next Generation THar | new Thar | All-new Thar.